Born in Detroit, MI in 1978 music was always a continuous presence in Jordan's upbringing. His earliest musical influences came from his mother's vast record collection, which included classical, jazz and classic rock. He began to play drums at age ten, immediately falling in love with the instrument. As soon as he was good enough, he started playing in local rock, punk and heavy metal bands. His first experience playing jazz was in high school jazz band, where he was first chair all four years. His exposure to a variety styles at an early age helped him to become the versatile and creative musician he is today. 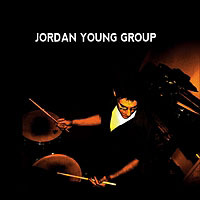 Eventually, Jordan attended the Jazz Studies Program at The University of Michigan, where he refined his drumming and compositional skills. In Ann Arbor, he was consistently sought out to perform with local groups with styles ranging from jazz to pop to avant-garde. Simultaneously, he was hanging at more jam sessions in the Metro-Detroit Area, which led to gigs with Detroit jazz legends Donald Walden, Marcus Belgrave, Teddy Harris, Jr., James Carter, and Rodney Whitaker. Meanwhile, at the University of Michigan, Jordan was taken under the wing of world-renowned drummer and composer, Gerald W. Cleaver. Studying with Gerald, Jordan really began to dig deep into world of jazz drumming, absorbing himself in the music of master drummers like Art Blakey, Jimmy Cobb, and Philly Joe Jones. During the five years Jordan spent at Michigan he dedicated himself to this music: practicing, playing and gigging as much as humanly possible. 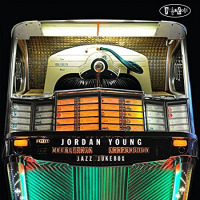 Upon encouragement from his mentors, Jordan moved to New York City to become an active part of the NYC jazz scene. As soon as he arrived, he began studying with world class educator John Riley, earning his masters from Manhattan School of Music. Currently, Jordan resides in Brooklyn, NY. He currently works as a sideman and leads his own groups at many renowned New York City jazz clubs and venues such as Smoke, Smalls, Cleopatra's Needle, Arturo's, Fat Cat, and Carnegie Hall. He is currently on faculty at The Music School of Westchester. He also maintains an active private teaching studio. All About Jazz musician pages are maintained by musicians, publicists and trusted members like you. Interested? 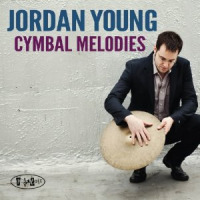 Tell us why you would like to improve the Jordan Young musician page.